With Christmas fast approaching, I’m sure many of you are wondering what to buy the man in your life. 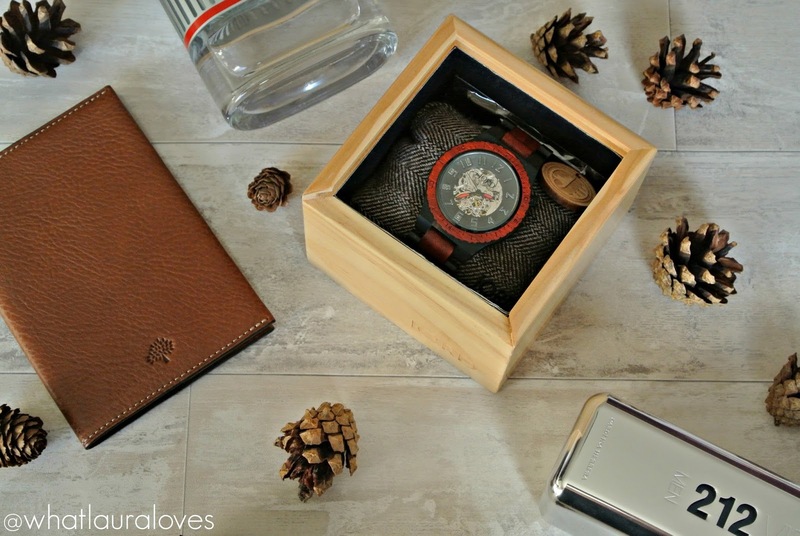 At this time of the year, there’s always so much choice and selection around for mens gifts that it can make it hard to pick what to buy but then again, certain brands and types of products tend to be more popular than others. This means that you run the risk of buying something that they already have or getting them the same gift as someone else. I wonder how many men open several of the same Lynx gift set on Christmas morning or how many pairs of socks, slippers or toiletry/skincare gift sets they receive from friends or family? One way to avoid buying duplicate gifts is to buy the man in your life something unique, that you don’t see everyday. One such item could be a beautiful piece from Jord Wood Watches. 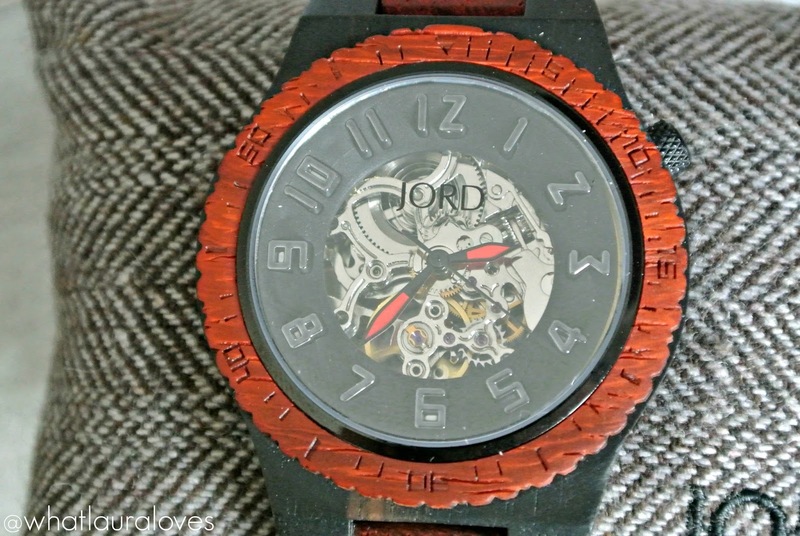 The Jord Wood Watches are made from a variety of different woods from Koa and Zebrawood to Purpleheart and Maple. The craftsmen at Jord are experts in each wood to ensure that the correct methods and treatments are used with them to bring out the best in the wood. 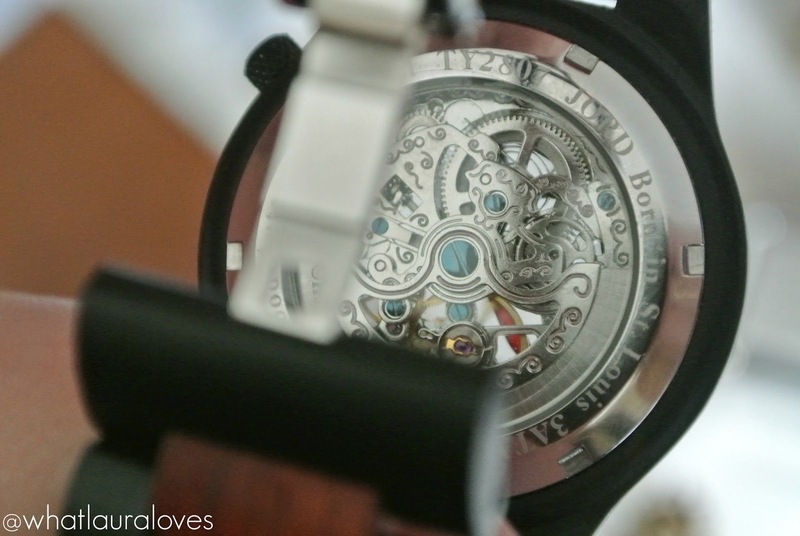 There are styles for both men and women available and each watch is hand finished. This means that every one will vary ever so slightly, which is the beauty of working with a wooden grain. This, plus the fact that you can’t just pick Jord Wood Watches up on the highstreet, makes them unique, original and incredibly covetable. The Dover Ebony and Rosewood Watch would make a superb gift for any man this Christmas. With a wooden strap made from natural ebony and rosewood which is hand finished and pretreated with tung oils, it is not only eye-catching to look at but incredibly well made too. Not to mention, the obvious benefit in that it is great for those whose skin is easily irritated by certain metals. Look a little closer and you’ll see that the watch actually has an exhibition face which means that you can see right through to the full working mechanism of the watch inside, from the outside. It is fascinating to look at and really is a conversation starter as watches with this feature aren’t as commonly seen as those with traditional faces. I have a watch like this that Mr WLL bought me a few years ago and I know that he has always lusted after mine so to be gifted a mens version as unique as the Dover Ebony & Rosewood, I feel incredibly lucky. This will be wrapped up soon for him to send away to Santa but for now, the watch is being expertly modelled by my friend Kieron Boston, who is a superb singer and actor. I can’t wait to see his eyes when he opens it on Christmas morning. I just know that he’s going to love it as he’s a fan of stylish pieces that he can wear day or night and this is definitely one such piece. Whether he’s wearing it with jeans and a jumper for a casual daytime look or dressed up for an evening out with black dress trousers and a shirt, this watch will suit his attire down to the ground. 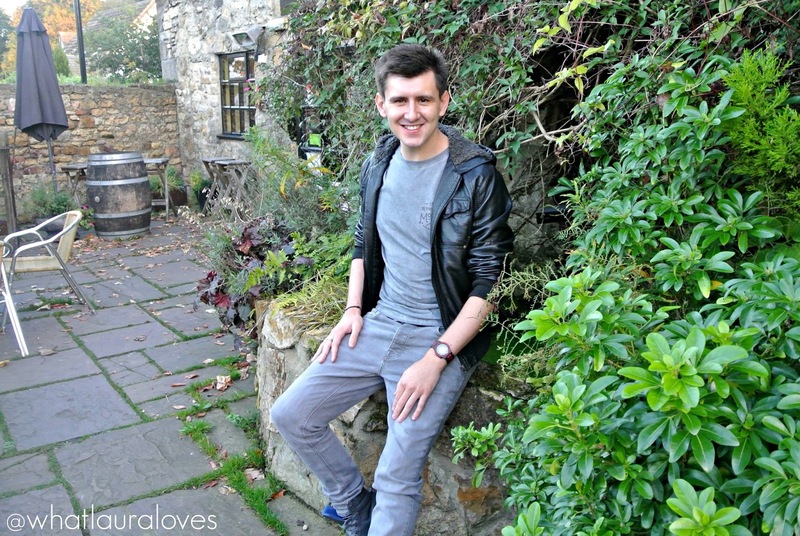 The design of the watch is so important to me because it isn’t just a method by which to tell the time but it is a piece of jewellery too that can really compliment an outfit well and make the wearer look put together. If you head on over to to product page for this piece here, you’ll find a full list of all of the features of the watch from the sapphire crystal glass face to the exact measurements and movement information. Some of this information is stuff that you’ll not really need to know unless you’re a true watch aficionado but somethings are important to note. Like the watch being splash-proof for example, so you’ll know that its ok to keep on while you’re washing your hands but not when you’re jumping in the shower. The great thing about this particular watch is that it has a self winding automatic drive system which basically means that it doesn’t require a battery. You simply initiate the power reserve, set the correct time and the watch will then wind itself automatically and rebuild the power reserve from the movement of your arms as it is on your wrist. It has a power reserve of 36 hours so it should be perfectly fine when it is taken off overnight, or you could store it in a watch rotator if you’re going to be leaving it off for longer periods of time. The benefit to this is that when you next come to use it, the time will always be correct and the watch will still be ticking, even if you haven’t worn it for a while. For my husband, the luxury of not having to replace the battery in a watch is definitely something that he will benefit from as his last timepiece has been sat immaculate with a flat battery in his jewellery box for well over a year now. I love that Jord Wood Watches have a story behind them; they’re not just a generic piece thats made in a generic factory. There’s so much to wood itself that it makes the watches a great talking piece which is great as when I was taking these shots with Kieron, a couple of men at the place we were at stopped to ask him about the watch. Its the right mix of style and originality. The rosewood in this particular watch is sourced from Brazil and has a stunning crimson colour that contrasts so well against the black of the Ebony. I was surprised to find out that Rosewood oil is actually a mind analgesic and antiseptic, so people have used it for centuries to relive minor pains and treat wounds and Ebony wood is actually most often used in the creation of musical instruments, most specifically as black piano keys and guitar picks. And now they have been transformed into this stunning mens watch that I’m sure any guy would be proud to wear on their wrist. Not only does it look great but it is comfortable to wear too as it is relatively light weight. The watch is quick and easy to get on and off, with its own deployment buckle with push buttons. This isn’t a piece that you need to faff on with on a morning, simply slip it on, press it together and you’re ready to head out the door. 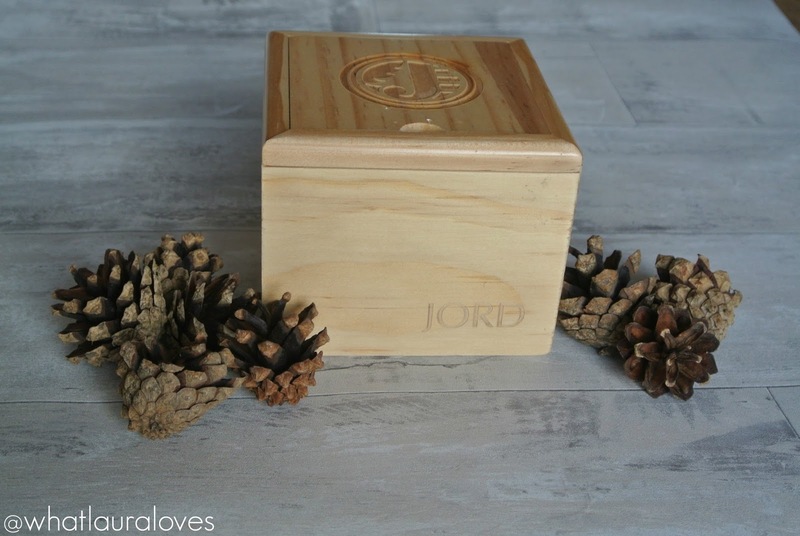 Each piece from Jord Wood Watches comes in a gorgeous branded wooden presentation box that can also be used to store the item. Theres a cute tweed cushion in there too that the watch wraps around. 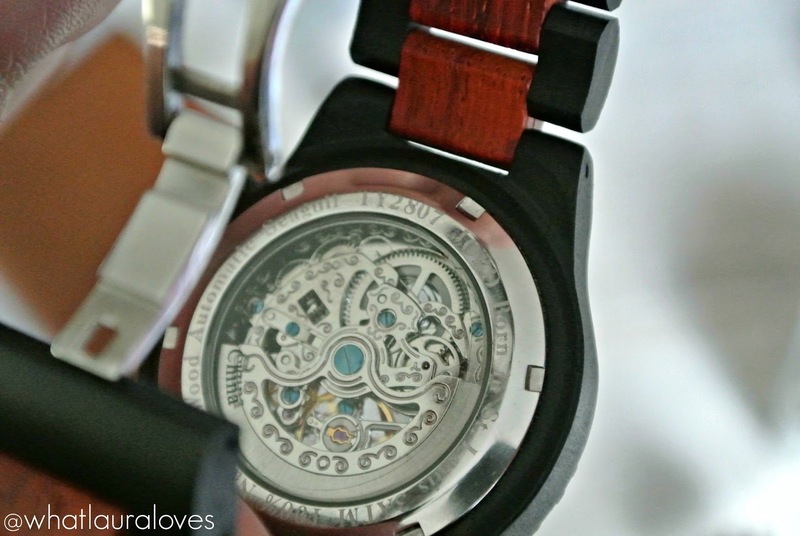 The attention to detail with these watches is superb; even the tag is branded and made from wood. To ensure an accurate fit from the very first wear, Jord Wood Watches offer a sizing service called ‘Size This Watch For Me!’ where they take you through some quick and easy step by step instructions of measuring your wrist or the wrist of the person you’re buying for, then they will take the required number of links out for you before sending the watch out. Alternatively, you can take the watch to your own preferred jewellery or watch maker to be resized. 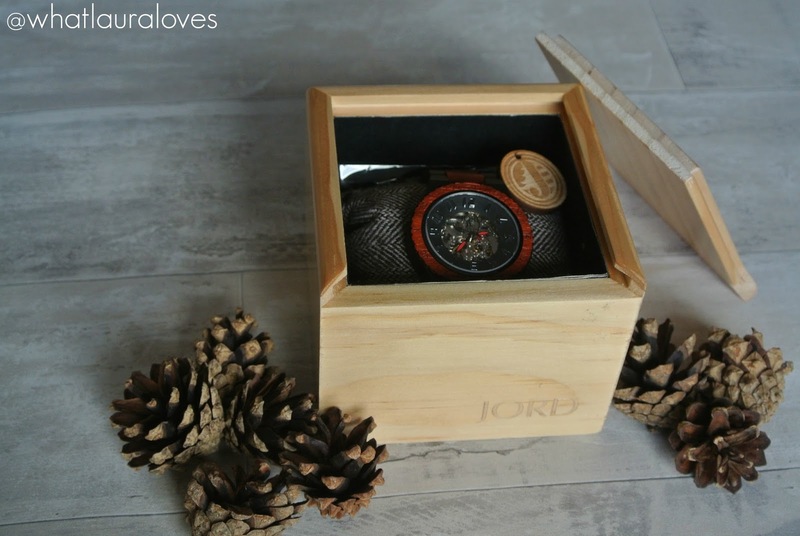 Jord Wood Watches are available to buy internationally direct from their website here and each one comes with a 1 year warranty. Their policy on repairs is actually really fair and straightforward as I can understand which fills me with reassurance. They also offer exchanges, returns and a watch repair service for a small fee if you’ve been a little less than careful with your timepiece. So what are you waiting for? 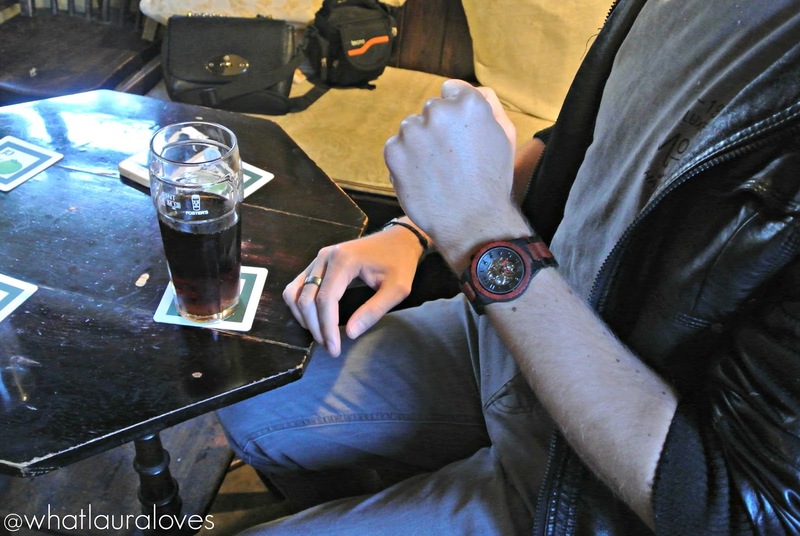 Order your Dover Ebony and Rosewood Jord Wood Watch today! 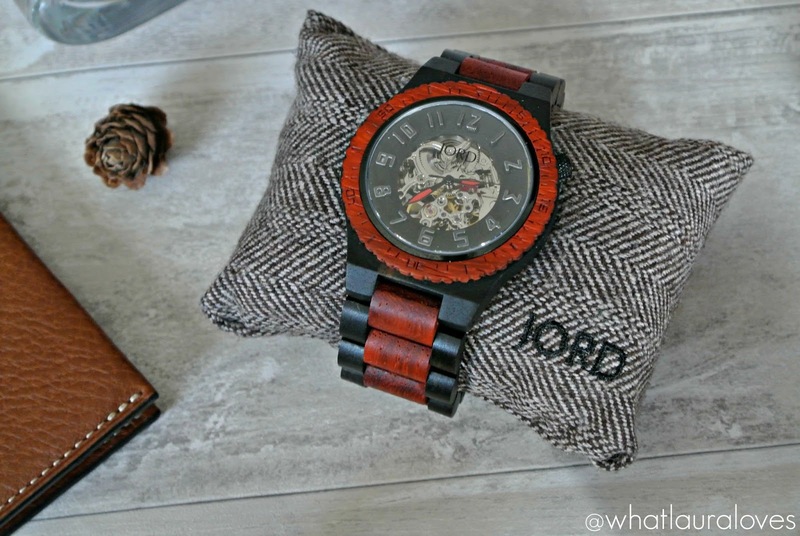 What is your favourite style of timepiece from Jord Wood Watches? 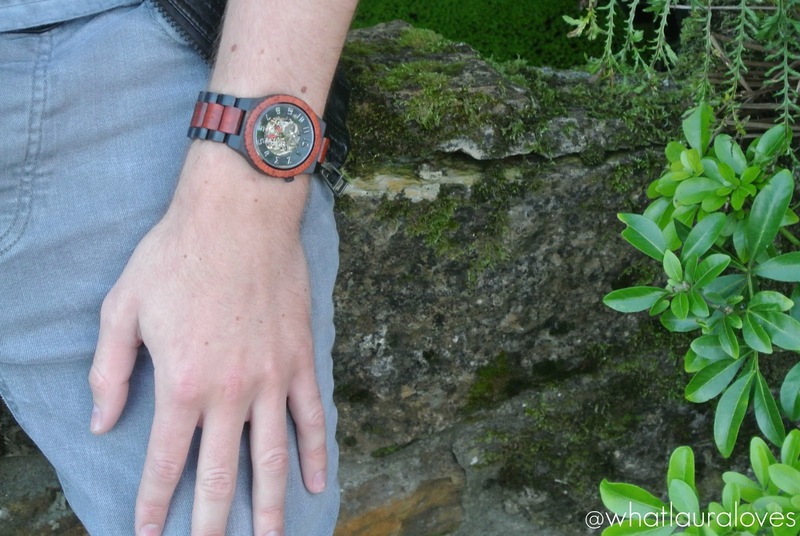 That's a funky looking watch, looks good! If I had no budget, I'd have loads of watches. I love the box that it comes in! I really like the watch too, it's a great gift for Christmas. 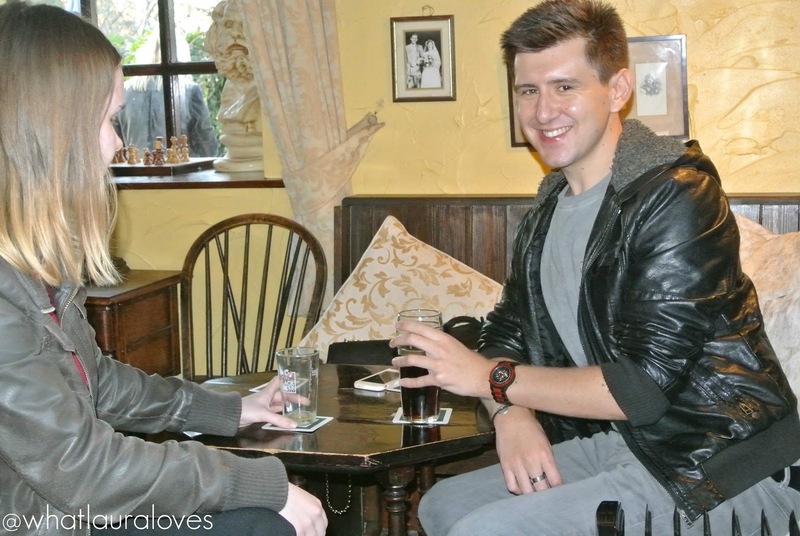 I've never actually heard of Jord Wood before. I have heard quite a lot about these watches. Can't wait to have one. 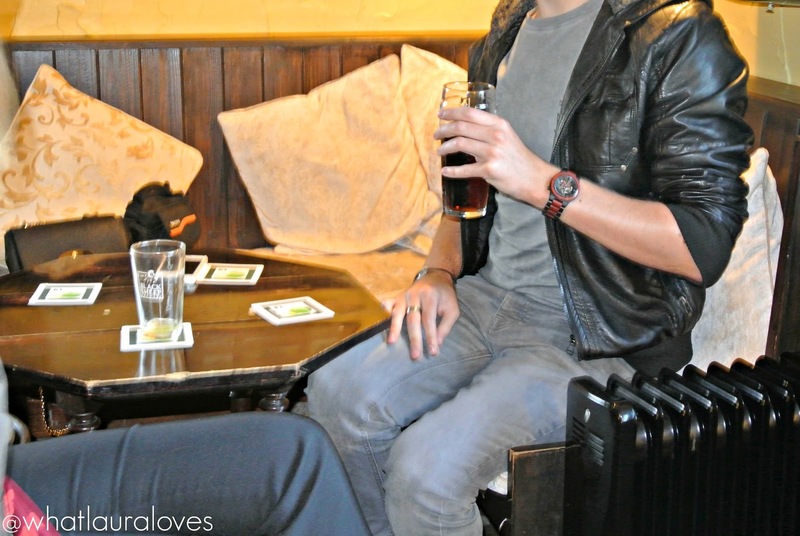 That is one stunning watch, a real conversation piece, I love the exposed machinations. 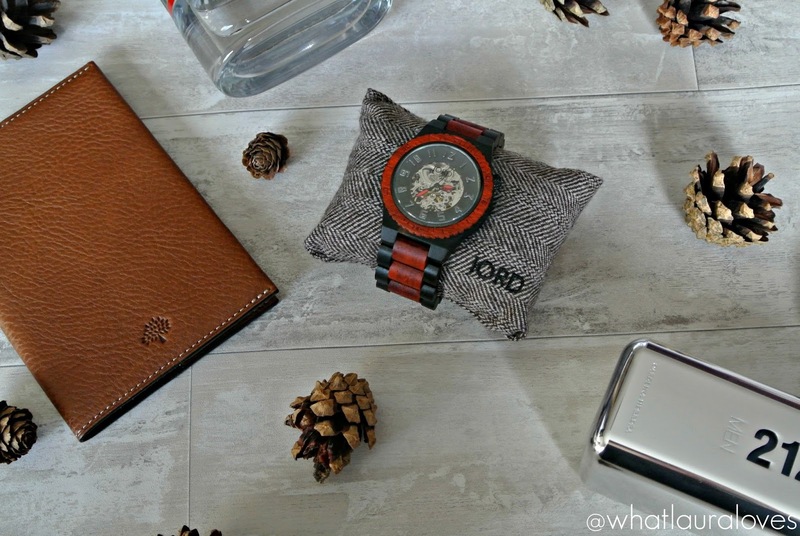 I LOVE Jord watches and that one is soooo cute! Love seeing the gears on this one. What a great gift! these watches are so stunning! I would wear one myself! 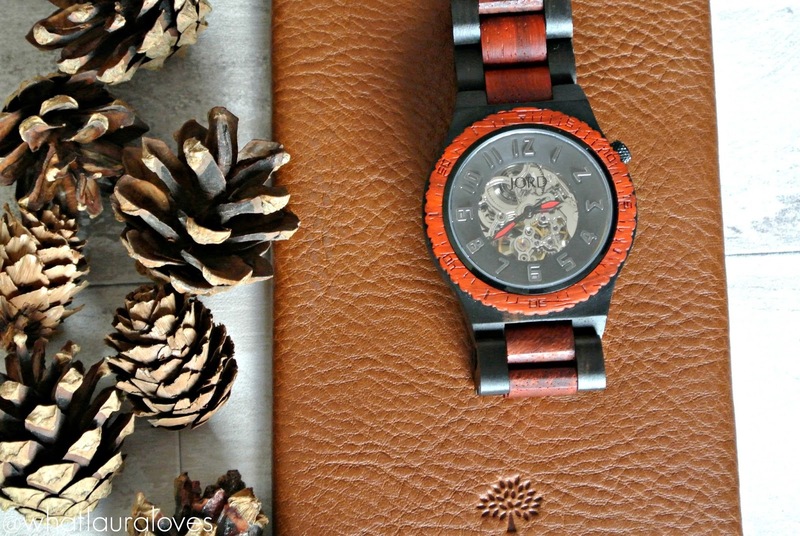 That is a fab looking watch I love the clock face and the wooden detail it would make a great gift for Xmas . I saw these in a shop a few months ago and they are really stylish! I LOVE that. I actually just bought my husband a watch for his birthday in January, but I think I prefer this one. I might return it and get this one, as I think he would prefer this. Oh wow I really love the look of this watch, it's so detailed but so chunky too. 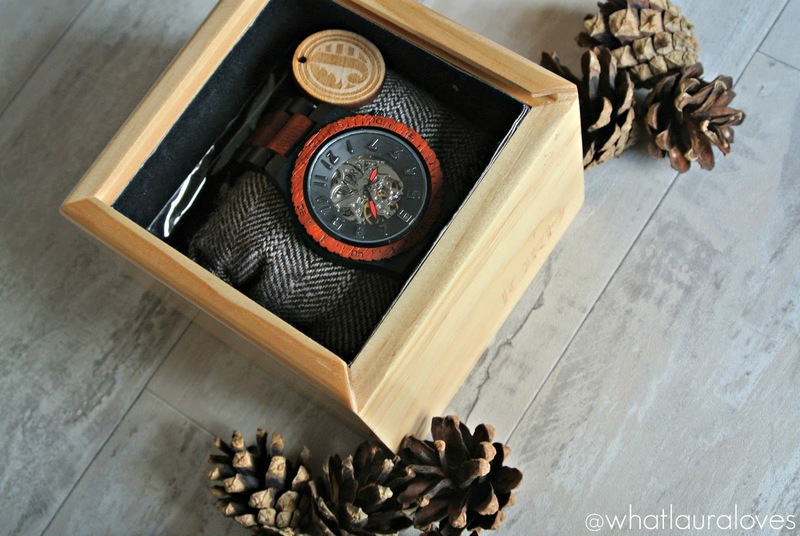 Love the watch, love the box… love all about it.My Oh would love it too! I find me so difficult to buy for, this watch is great though and I love the box.